Inking on the Edge: My Favorite Things...June Teasers Day 6...Wendy Burns...So Special! 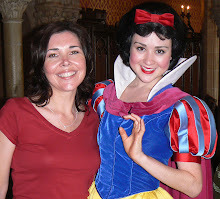 My Favorite Things...June Teasers Day 6...Wendy Burns...So Special! 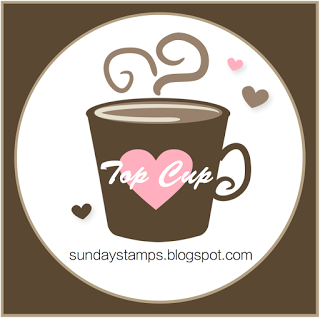 Stampin' friends, You're SO special to me! Thanks for stopping by today! It's Day 6 of the My Favorite Things June Teasers! Today we are featuring the NEW WBD - You're so Special to Me, Fluttering Hearts Die-namics, Chalkboard Greetings, Chalkboard Frame Builder Die-namics! MFT will be giving away one $75 prize each day of teaser time...that's 7 prizes!!! The new June release will be available at My Favorite Things on June 11th at 10 PM EST. All the Release details are available on MFT Blog so be sure to check it out!!! I made my card 6x6 and used the Authentique Renew 8x8 paper pad. I matted with MFT Black Licorice, Steel Blue and Sno Cone Heavyweight Card Stock. 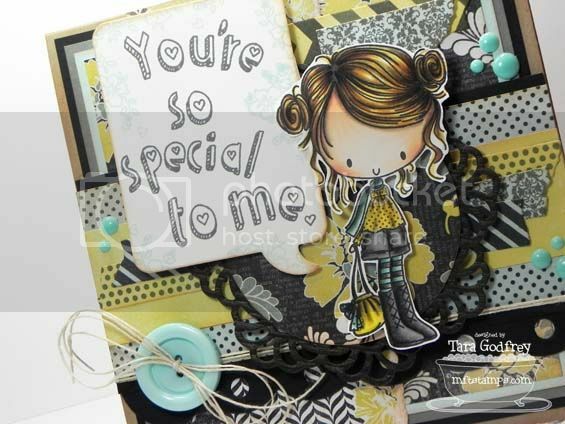 The NEW Wendy Burns Designs for MFT have fast become my favorite stamps and I absolutely adore the NEW Wendy Burns Designs - You're So Special to me Stamp set. She is SO much fun to colour! I coloured her with my Copics and again used my Charcoal pencil and a paper stomp to add in some dark shading...(love how hair turned out). 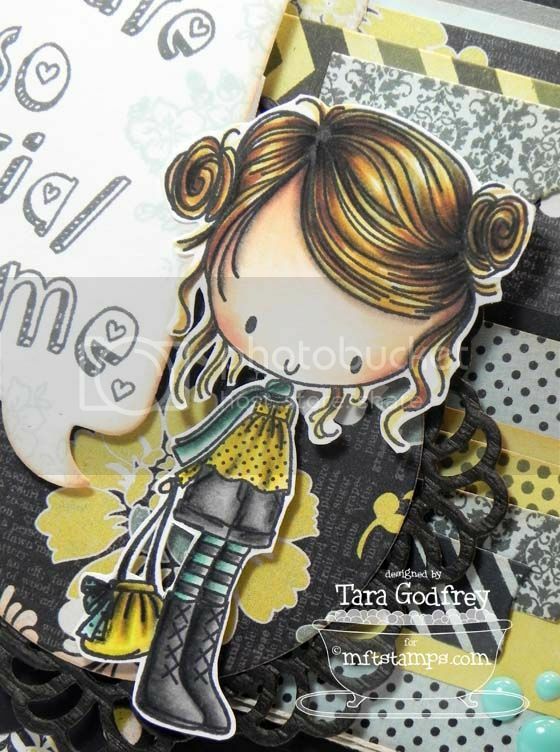 I love the fun sentiment that comes in the NEW WBD - You're So Special To Me Stamp set too. I stamped it in Steel Blue Premium Dye Ink on Smooth White Card Stock cut out with the NEW Insert It - Speech Bubble Frame. I stamped around the edges of the Speech Bubble with the floral stamps from the NEW You're So Special To Me Stamp Set with Sno Cone Premium Dye Ink. I also used the NEW Washi Tape Die-namics and the Washi Patterns Stamps. I cut one of the more sold papers from the Authentique Renew Paper pad, cut it with the Washi Die-namics, then stamped with the various Washi Pattern Stamps. Here is a detail shot of the NEW Wendy Burns Designs - You're So Special to Me...she's SO cute! Here is the inside...I stamped a shadow image of the Wendy Burns Designs - You're So Special To Me girl in Sno Cone Premium Dye ink I stamped the sentiment from the WDB - Cupcake Cutie and added a few more strips of "washi tape" that I made with the NEW Washi Tape Die-namics and Washi Patterns Stamp set. She is such a cutie and looks like fun to colour!Great card Tara. What a fun color combo! Love all the layers! Pretty card and love the colours! Love all of the details on your card! 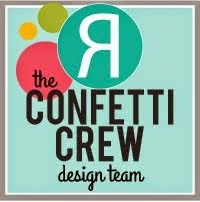 I love the pop of color that the buttons and little dots give! What a beautiful color combo, love the pop of the enamel dots. I would love to have highlights in my hair like that, great Job!! beautiful card, gorgeous colors and layout! Tara, your card is adorable. Love the coloring of the darling image. WOW!!! Love all those layers and textures. Gorgeous colors and design. Love all the amazing layers on this card!! Wow!! Wow! Cool! 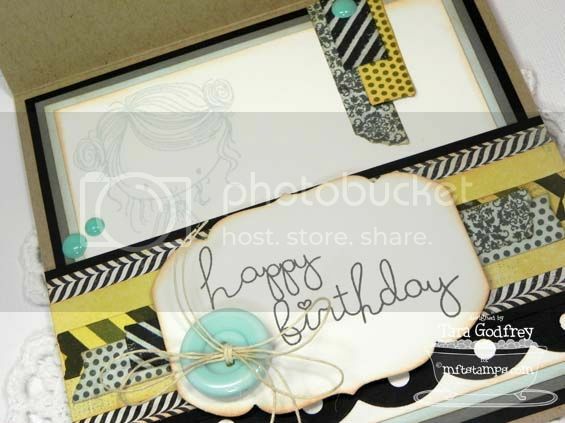 Love all the layers and dimension within this card!! BEAUTIFUL layout and colors!! Hi, Tara here! Thanks for stopping by! I'm an American Sign Language/English interpreter, mother of 2 wonderful kids, (Hannah 19 and Kieran is 16) and wife to a great guy, Chris! I spend all my free time getting inky, colouring cute stamped images with my Copics and die-cutting until my hearts content. 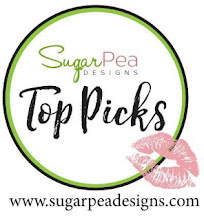 My passion is making one-of-a-kind cards that celebrate special occasions and cherished relationships and documenting the people, places and things WE love in the pages of my scrapbooks! 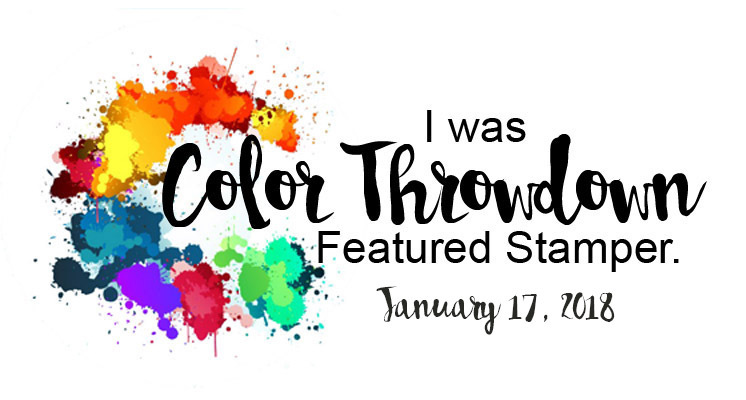 SO honoured to be the Color Throwdown Featured Stamper! SO honoured to be in the Sweet Sunday SPOTlight! Thrilled to be chosen as one of the Top Cups for SSC113, SSC164 and SSC168!!! Feel free to use my creations as inspiration. It is ok to "lift" or use them as a jumping off point for your own personal use but don't copy or reproduce the creations for submission to a magazine, challenge or contest etc. For permission to reproduce contents or images from this blog, please e-mail me. Inking on the Edge. Simple theme. Powered by Blogger.